Melody, a gifted young dreamer and her feisty friend Leif, must set aside their differences and use the power of magical Blue Daisies and an ancient Song to save their world from an evil Ice Dragon. Racing against time, Melody must convince Leif and the other villagers that they are in great danger before it’s too late. 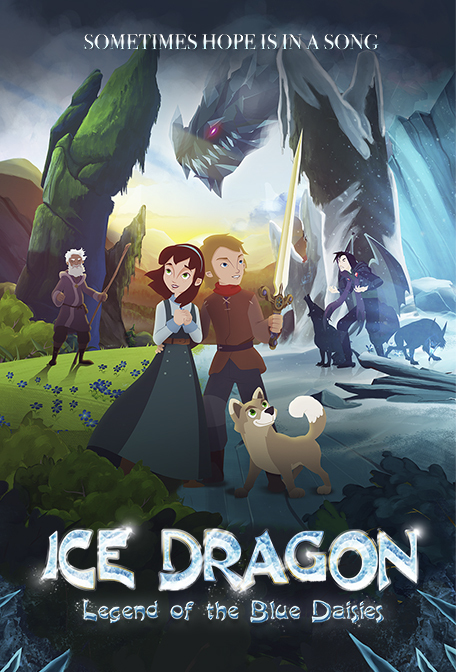 Ice Dragon is an inspiring animated adventure for the whole family.